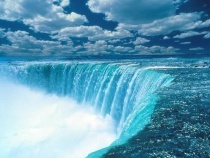 NIAGARA FALLS, ON: The Tourism Partnership of Niagara is seeking an agency to help promote Niagara Falls and its surrounding communities as a tourism destination. Beyond the Falls, the region also wants to highlight its wines and wineries, towns, villages, parklands, and culinary offerings. “Our vision is to become the number one international tourism destination in North America,” according to an RFP released by the group. To reach this goal the region must “build a strong relevant brand,” according to the RFP. The non-profit tourism organization has an annual marketing budget of $2.8 million and the successful firm will win a contract that includes marketing, social, and traditional media outreach. The one-year contract begins in April 2013, with the option of two additional years. The ensuing campaign must build awareness of the Niagara Canada brand and increase consumers' intent to visit the region. Campaign components include contributing to Niagara Canada Travel magazine and Visitniagaracanada.com. There is also a material development component that includes media kits and press releases. The partnership is a relatively new organization, formed by The Ontario Ministry of Tourism in May 2010 as a non-profit designed to grow tourism for the region via strategic leadership and an effective partnership with the government, according to the RFP. A representative from the partnership did not return a request for additional comment on the RFP. In September, The Jamaica Tourist Board rehired incumbent Finn Partners as AOR for its Canadian outreach, as well as other territories.